My album is Spectrum Records (SS 26) and is named "The New Sound of Connee Boswell Singing the Irving Berlin Song Folio" (1958). Stereo-Spectrum (DLP 68), "A 50th Anniversary Tribute" It is "a lower priced product" that is notarized in the State of New York, August 1, 1958. 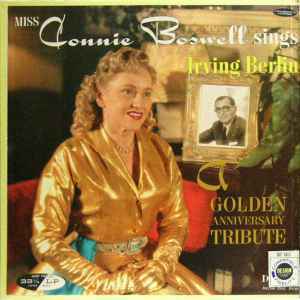 My album is Spectrum Records (SS 26) and is named "The New Sound of Connee Boswell Singing the Irving Berlin Song Folio" (1958).